Property can also be transferred to another individual through a trust while you are alive (inter vivos) or at your death (testamentary). A trust can be revocable (changed or terminated) or irrevocable (permanent until the trust ends by its terms). There are numerous reasons why one might consider using a trust to transfer property, including managing assets for spouses or for children well past the age of majority (which in Maryland is age 18); minimizing estate taxes; to create, preserve, or distribute wealth; and to avoid probate. Recently, the media has given much attention to one type of trust known as a living trust. Many advertisements suggest that it is an estate planning cure-all claiming that you will avoid probate, as well as income and estate taxes, that it will be cheaper than a will, and that you will not need a will if you have a living trust. The truth is, however, these types of trusts have been around for hundreds of years. Moreover, some of these claims are misleading. 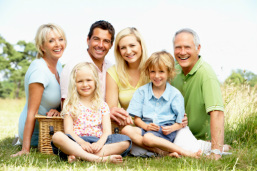 Living (also known as revocable) trusts are just another method to distribute your assets to your heirs, to provide for the payment of taxes, and to provide for the care of minor children and assure an orderly transition upon your death. In a revocable trust, you convey property to a trustee for your benefit during your lifetime, and you retain the ability to cancel or revoke the trust at any time and get your property back. The trust can be structured so that when you die, the trust changes so that the beneficiaries are your heirs, and the trust property passes to them outside of any probate proceeding. Since a trust is a separate legal entity, if all of your assets (your house, vehicles, bank and other accounts, etc.) are transferred to the living trust, then you will avoid probate. But if you forget to transfer even one of your assets into the living trust, you will still have to go through probate. As a result, it is still important to have a will just in case you forgot to transfer an asset into the trust. But even if you forget an asset and must go through probate, the probate process in Maryland is relatively uncomplicated and the fees associated with probate and preparing a will may still be less than the cost to set up a living trust. As for the claim that a living trust can reduce your tax burden, this claim is false. During the lifetime of the grantor (the person who creates the trust), the grantor is treated as the owner of the trust assets and all of the income earned by the trust will be included in the grantor’s income and taxed. When the grantor dies, the assets are included in the grantor’s estate and subject to an estate tax. Thus, there is no tax advantage to establishing a living trust. A revocable or living trust is simply another valuable tool that, while not for everyone, may be useful in certain situations which may be the case if a person owns real estate in more than one state, desires to have someone else manage his or her assets currently, or anticipates a will contest. In most cases, however, the immediate costs and administrative burdens involved in setting up a living trust and transferring assets to it outweigh any potential savings that may be realized by avoiding probate in the future.